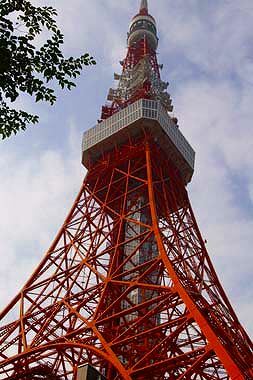 Tokyo Tower is the tallest self supporting steel tower in the world and one of the landmarks of Tokyo. 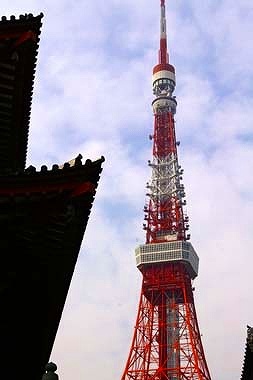 It's height is 333 meters, 13 meters taller than its model, Eiffel Tower in Paris. 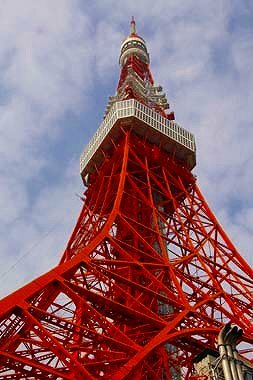 The tower was erected in 1958 as the broadcasting tower serving all around Tokyo. 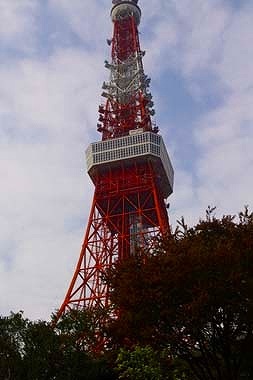 Since then, it has attracted many people looking for the bird's eye view over the scenery of Tokyo. 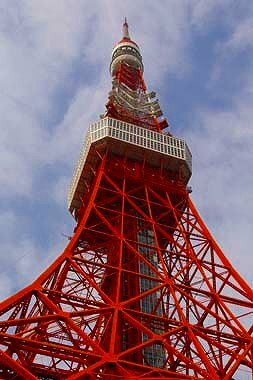 There are two observatories, one at 150 meters, another at 250 meters above the ground. 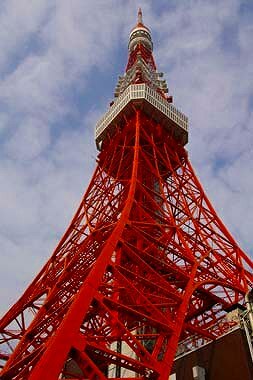 You can enjoy from there the wonderfull sight of cityscape of Tokyo and Mt Fuji. Views looked up from the ground. 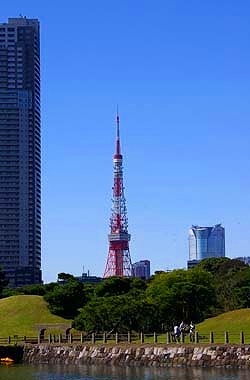 and a view from the sea near Hama-rikyu garden.